​Abide with me; fast falls the eventide; the darkness deepens; Lord, with me abide. 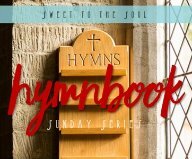 ​As the words of this hymn roll through my mind, I return to my childhood and the church where I was raised and deepened my relationship with God and his son, Jesus Christ. 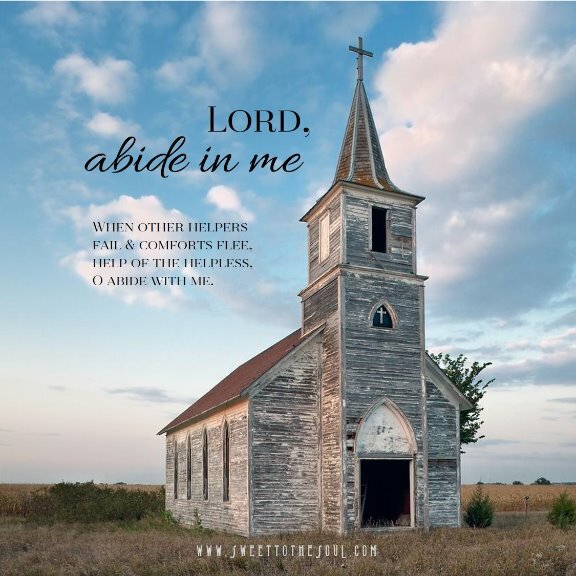 Abide with Me was often sung at our evening service where the crowd was sparse, as families with young children were at home getting them ready for bed and for school the next day. As the darkness had fallen outside, we were huddled together in the well-lit sanctuary listening to the organ music that with great reverence paid tribute to our Lord and Savior. The faithful few gathered that night knew intimately the words of the song and could relate to the tragic circumstances in which it was birthed. Standing by my grandmother’s side, I shared the hymnal with her. Surrounding us were widows and those who had seen more than 40 or 50 years of marriage, many of them with battle scars from life’s cruel hand. But they sang the words with assurance knowing that Jesus was with them when other helpers had failed and all earthly comforts had fled. He would never leave them or forsake them – never. As a high school student, I was only beginning to understand the depths of God’s love for me. But a strong foundation was being laid that I would need in the years to come. The song speaks to me of my Savior who abides with me no matter life’s twists and turns. He is as solid as a rock. He is as pure as the driven snow. He is always faithful and He hears my every cry. 1993 was a year that brought this truth home to me on a whole new level. My husband of three years passed away from cancer in February and in November of the same year, my dear sweet grandmother was caught up to heaven to be with my grandpa. Now for eternity she would abide with Jesus, her Savior. As a Christian, we are shaped by our trials and our response to them. I know that He calls me to abide with Him, not go running here and there seeking help from a mother or father, a sister or a brother. God is all I need. I will only be satisfied when I drink from the rivers of living water that flow from Him and His heavenly throne. In many churches, contemporary songs have taken the place of these beloved classics but through the years, God continues to use this song to remind me to run to Him. In fact, in 2015, my Christmas present from God was the gift of this song. A member of our church, who has been through her own trials, sang it beautifully – help of the helpless, O abide with Me. Thank you, Lord, for the reminder that no matter what is happening in my life, if I abide in Your presence – nothing can separate me from Your love. We have victory in life and in death because of Jesus Christ. Today, February 28, is my grandmother’s birthday. There is no greater tribute that I can pay than to recognize her, Grandma Nymeyer, as a woman of great faith who showed me what it means to abide in Christ and live for Him. Henry Lyte, who wrote the lyrics, had tuberculosis and died at the age of 54, not long after penning these timeless words. Barbara Hollace is an author, editor, speaker, and Communications Director at Spokane Drea​m Center. She is involved in women’s ministry and is passionate about prayer and its power. God’s call on her life is to ‘identify the good and magnify it’ in her business, personal life and ministry.